The Fifth International Conference on Hate Studies is one of the leading interdisciplinary academic forums on hate, related social problems, and ways to create socially just and inclusive communities. 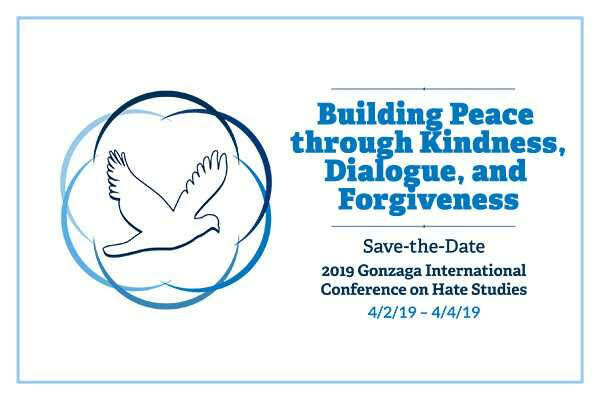 The lessons learned and plans which emerge will help educators, researchers, advocates and others better analyze and combat hatred in its various manifestations and lead to communities being committed to peace, human rights, and justice. Sponsored by the Gonzaga University Institute for Hate Studies, Spokane County Human Rights Task Force, and Kootenai County Task Force for Human Relations, with presentations from the Bard Center for Hate Studies (Bard College at Annandale-on-Hudson, NY), the Center for the Study of Hate and Extremism (California State University at San Bernardino, CA), the Centre on Hate, Bias and Extremism (University of Ontario Institute of Technology at Oshawa, ON) and the International Network for Hate Studies.